HONG KONG, Jan. 23, 2019 /PRNewswire/ -- The JNA Awards unveils its list of categories and judging criteria for its 2019 edition. Now on the eighth year, the JNA Awards is one of the most respected and coveted awards programmes in the global jewellery and gemstone industry. In light of the changing needs and emerging trends in the jewellery industry, the JNA Awards has also made some adjustments to its categories this year. These changes aim to encourage wider participation from jewellers around the world. 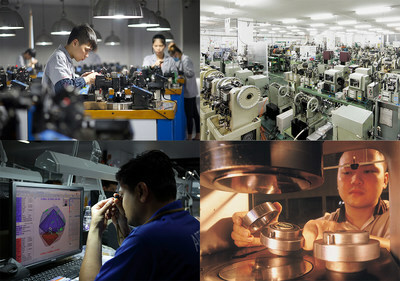 Letitia Chow, Chairperson of the JNA Awards and Director of Business Development -- Jewellery Group at UBM Asia, remarked, "While China and India are leading countries driving the growth of the global jewellery and gemstone industry, there are many exceptional enterprises in other parts of the world that also deserve recognition. By introducing a new Outstanding Enterprise of the Year category this year, we can cover more enterprises from all over the world." She continued, "In these changing times, being creative and innovative are key factors for succeeding in the industry, no matter the scale of the business. Therefore, we have also added a new Manufacturer of the Year category, which puts emphasis on creativity and innovation. Through this category, we can pay tribute to individual jewellers, as well as sizeable operations, that strive to adopt innovative and original ways to bring out and maximise the uniqueness and natural qualities of the precious stones." 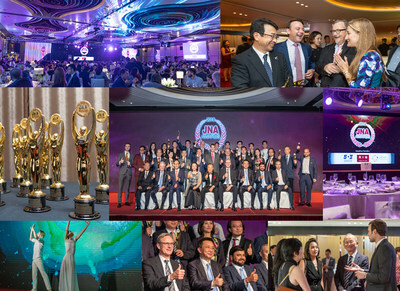 Organised by UBM Asia, the JNA Awards was founded in 2012 to identify, encourage and honour excellence, leadership, innovation and best business practices in the international jewellery and gemstone business. The JNA Awards remains to be one of the most influential platforms in the trade for celebrating inspiring successful companies and individuals and for promoting industry advancement. To register or review the full list of categories, awards criteria and rules of entry, visit www.jnaawards.com. JNA Awards 2019 is supported by Headline Partners Chow Tai Fook, Shanghai Diamond Exchange, and DANAT; together with Honoured Partners the KGK Group, Shanghai Gems & Jade Exchange, and Guangdong Land Holdings Limited.